Printed and signed 8 1/2" x 11" certificate, certifying Galen Hassell "was a participant in the Town of Conway Bicentennial Beard Contest." Signed by Erwin T. Weston, Merton Bachelder, Laurier Fortier. 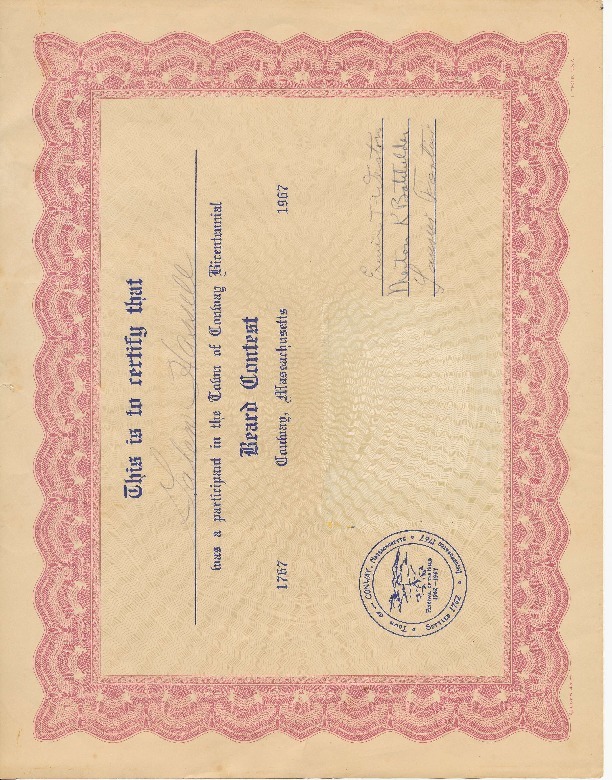 Town of Conway, Mass., “Bicentennial Beard Contest Participation Certificate,” Conway Historical Society, accessed April 21, 2019, http://conwaymasshistory.org/items/show/852.